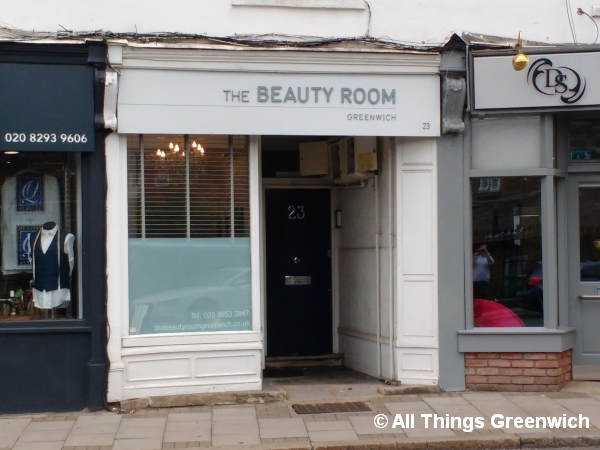 Located close to Greenwich train station, The Beauty Room is a women's beauty salon offering services and treatments such as facials, full body exfoliation, St Tropez tanning, waxing, eye lash tinting, eyebrow shaping & tinting and manicures & pedicures. Tuesday & Friday 10am - 6pm. Wednesday & Thursday 10am - 8pm. The Beauty Room is located on Greenwich South Street. View its location on the Greenwich South Street retail map diagram. Find your way to The Beauty Room by public transport with Transport For London's Journey Planner.